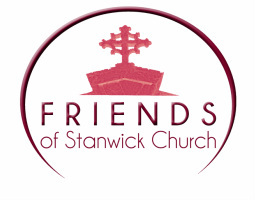 Friends of Stanwick Church - Who are we? Fundraising - by the sale of hand made cards, English bluebells, wild birdseed, raffles and quizzes. Wild Bird Food - on sale in the church or from FoSC chairman Joan Dawes (see contacts) English Bluebell Bulbs - on sale in the church or from FoSC chairman Joan Dawes (see contacts). Volunteer working parties – cutting back ivy from walls and headstones, reshaping and pruning the yew trees in the churchyard, maintenance work on the fabric of the church. Events – coach trips, concerts, talent evenings, live theatre, silent auctions..and by being part of other village activities.